Rumpole of the Bailey is a radio series created and written by the British writer and barrister John Mortimer based on the television series Rumpole of the Bailey. Five different actors portrayed Horace Rumpole in these episodes: Leo McKern, Maurice Denham, Timothy West, Benedict Cumberbatch, and Julian Rhind-Tutt. His skill at defending his clients is legendary among the criminal classes. The Timson clan of “minor villains” (primarily thieves) regularly rely on Rumpole to get them out of their latest bit of trouble with the law. Rumpole is proud of his successful handling of the Penge Bungalow Murders “alone and without a leader” (that is, as a “junior” barrister without a QC) early in his career and of his extensive knowledge of bloodstains and typewriters. Cross-examination is one of his favourite activities, and he disdains barristers who lack either the skill or courage to ask the right questions. His courtroom zeal gets him into trouble from time to time. Often, his investigations reveal more than his client wants him to know. Rumpole’s chanciest encounters stem from arguing with judges, particularly those who seem to believe that being on trial implies guilt or that the police are infallible. Rumpole enjoys smoking inexpensive cigars (cheroots), drinking cheap red wine (claret), and indulging in a diet of fried foods, overboiled vegetables, cheese-and-tomato sandwiches, and steak and kidney pudding. Every day he visits “Pomeroy’s”, a wine bar on Fleet Street within walking distance of the Old Bailey and his chambers at Equity Court, at which he contributes regularly to an ever-increasing bar tab by purchasing glasses of red wine of a questionable quality, which he calls variously “Cooking Claret”, “Pomeroy’s Plonk”, “Pomeroy’s Very Ordinary”, “Chateau Thames Embankment”, or “Chateau Fleet Street”. (The last two terms are particularly derogatory: the subterranean Fleet river, which flows below Farringdon Street in a culvert and crosses under one end of Fleet Street at Ludgate Circus, served as the main sewer of Victorian London, while the Thames Embankment in central London was a reclamation of marshy land that, until the 1860s, was notably polluted). “Pomeroy’s” is usually thought to be a stand-in for “Daly’s wine bar” (now again “Daly’s”, having for a while in the 1990s been called by another name), opposite the Royal Courts of Justice in Fleet Street. His cigar smoking is often the subject of debate within his Chambers. 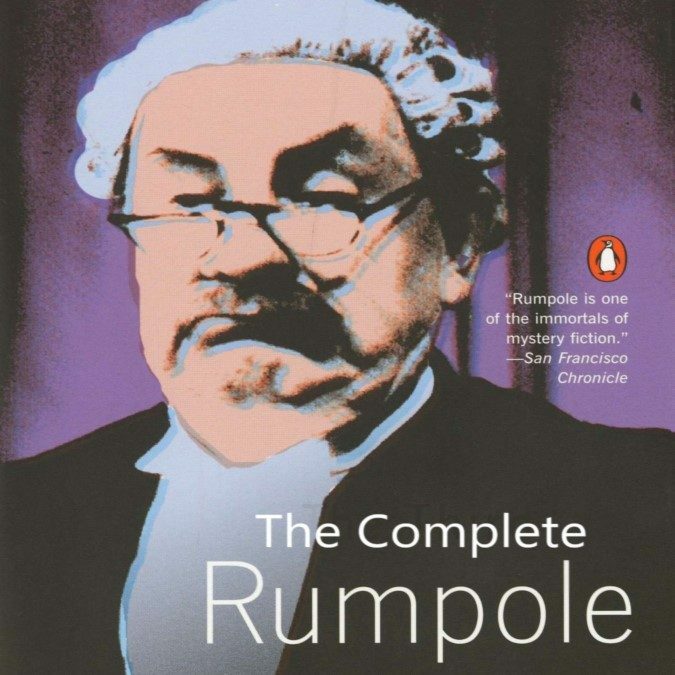 His peers sometimes criticise his attire, noting his old hat, imperfectly aligned clothes, cigar ash trailing down his waistcoat and faded barrister’s wig, “bought second hand from a former Chief Justice of Tonga” (or the Windward Islands: Rumpole is occasionally an unreliable narrator). Despite his affection for the criminal classes, Rumpole’s character is marked by a firm set of ethics. He is a staunch believer in the presumption of innocence, the “Golden Thread of British Justice”. He often reinforces this by proclaiming that it is better for 10 guilty men to go free than for one innocent to be convicted (basically Blackstone’s formulation). Some of Rumpole’s clients feel that things would have been better for them if they had been found guilty and resent him for getting them off.